Lyprinol is extracted from New Zealand's green lipped mussel (Perna canaliculus). carotenoids and triglycerides, Omega-3's, OTA (octadectetraenoic acid), ETA (eicosatetraenoic acid), EPA (eicosapentaenoic acid) and DHA (docosahexaenoic acid). 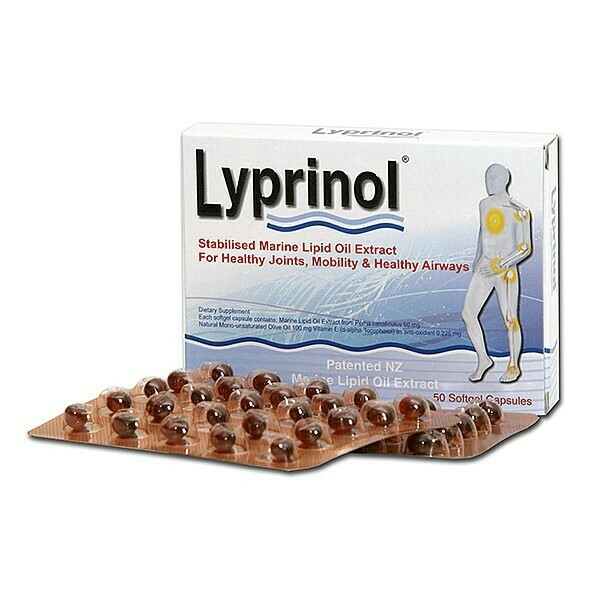 Lyprinol works by interacting with the metabolic pathways that influence the inflammation process. This is because the Omega-3 PUFAs present in Lyprinol are metabolised in the body instead of other fatty acids responsible for starting and prolonging the process of inflammation. Lyprinols unique extraction process achieves pure oil that does not include protein, a major source of shellfish allergies. Initially take 2-4 capsules per day. 1-2 in the morning and 1-2 at night with meals for approximately 3-6 weeks after which the intake may be reduced to 1-2 capsules per day for joint care. We recommend this product should be taken for at least 8-12 weeks. The daily level needed to obtain maximum effect can vary for each individual. 3 capsules daily for 3 weeks and 1 or 2 thereafter with meals. 4. 오..3월 할인 행사 한다길래..
후기쓰려고 와보니 가격 다시 업 됐네요..
초록입홍합을 정제해서 만든 제품이라 더 믿을만 하고 초록입홍합 보다 효과가 휠씬 좋아요. 같은 병실에 계신 다른분이 리프니놀이 좋다고 추천 해 줫어요 . 이곳 저곳 알아 봣는데 국내 제품은 너무 비싸더라구요 . 일단 구매을 하고 ..아버지께서 2주째 드시고 계신데 ... 무릎을 접고 펴는게 많이 편해졋다고 하시네요 ..
무릎때문에 너무 고생했습니다. 외출도 못하고 집에서도 기어 다니며 너무 힘들었지만 아들 덕분에 병원에 다시 다녀보겠다는 의지를 가지고 아들이 사다 준 리프리놀 먹으면서 이제는 하루도 빠짐없이 만보를 채웁니다. 아들에게 다음엔 마라톤을 해보자고 할 생각입니다. 1. 두곳으로 나눠서 배송 가능할까요?